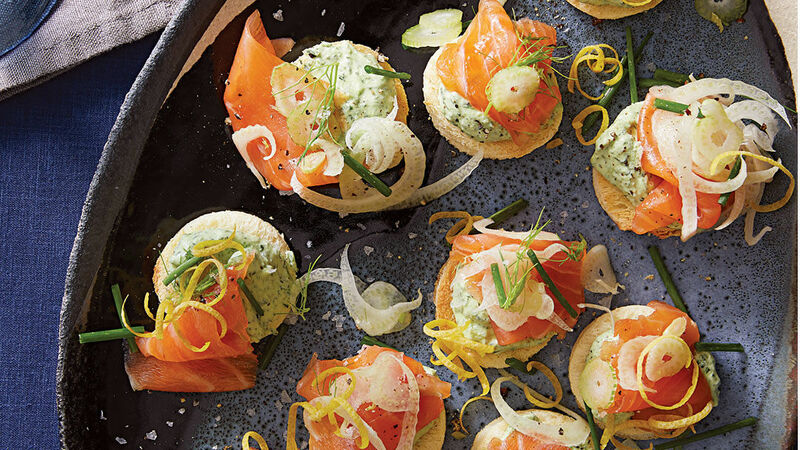 These canapés are like Sunday brunch meets the Jewish holidays. 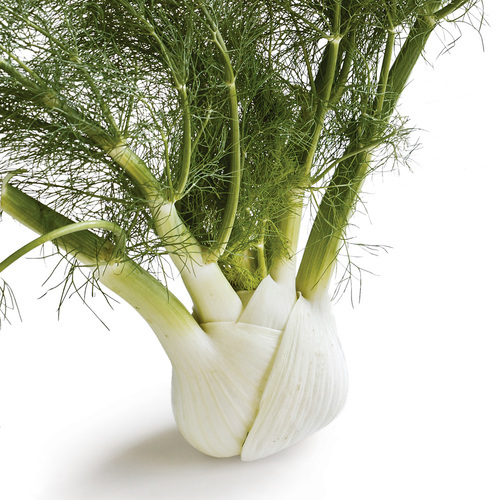 Use a mandoline, if you have one, to shave the fennel into super thin curls. If not, a sharp chef’s knife or peeler will do the trick. Use a 1- or 1-1/2-inch-diameter round biscuit or cookie cutter to punch out rounds of the challah; you should have about 24 pieces. Set the rounds on a large rimmed baking sheet. Bake until brown and crisp, about 6 minutes. Remove from the oven, and let cool to room temperature. Put the cream cheese, lemon juice, dill, chives, and 1/2 tsp. each salt and pepper into a food processor, and pulse until combined. Season to taste with more salt and pepper. 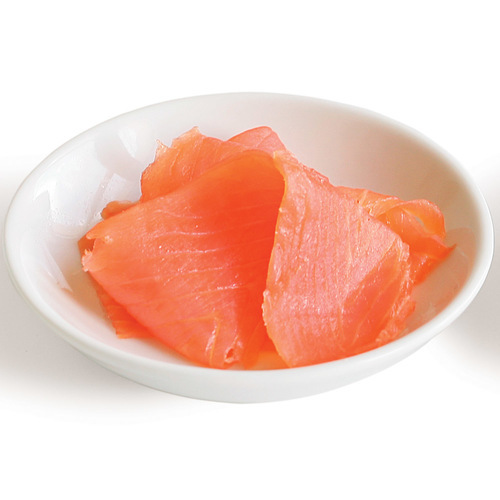 Place the challah rounds on a large platter, spread generously with the cream cheese, top with 2 slices of the fennel, and then fold a piece of salmon into a roselike shape and set on top. Sprinkle with the lemon zest and dill sprigs, and serve. The cream cheese can be made up to two days ahead and refrigerated, covered. 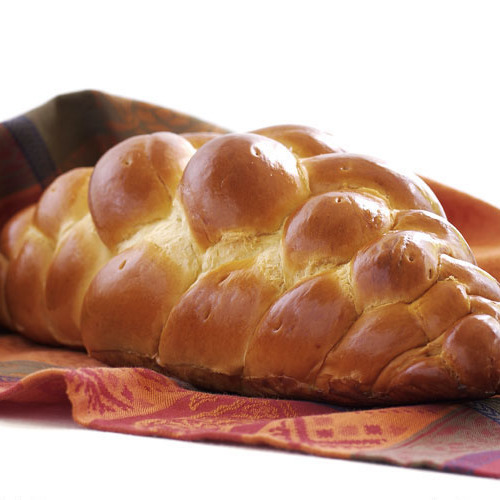 The challah can be toasted up to two hours ahead. Assemble the canapés no more than 30 minutes before serving.